Situated on a river, this apartment building is within 3 mi (5 km) of Tufts University, Davis Square, and Somerville Theatre. Harvard University and Harvard Square are also within 6 mi (10 km). West Medford Station is 10 minutes by foot. 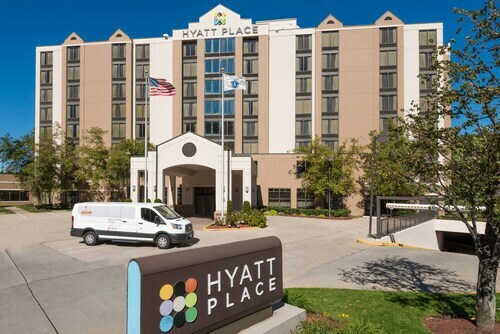 Hyatt Place Boston/Medford is a 15-minute drive from the city center. History buffs will want to visit the Bunker Hill Monument, only 10 minutes by car. From there it's another 10 minutes on foot along the Freedom Trail to the world's oldest commissioned naval vessel, the USS Constitution. 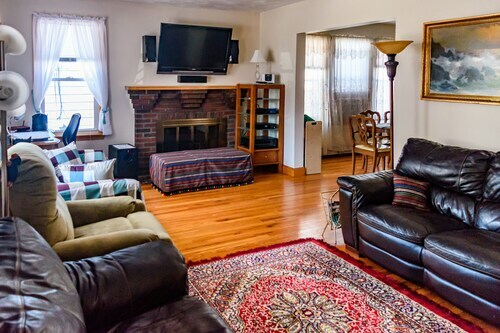 Situated in Medford, this apartment building is within 1 mi (2 km) of Davis Square and Tufts University. Harvard University and Harvard Square are also within 3 mi (5 km). Davis Station is 24 minutes by foot and West Medford Station is 27 minutes. Situated in Arlington, this property is 1 mi (1.6 km) from Davis Square and within 3 mi (5 km) of Harvard University and Harvard Square. Tufts University is 1.2 mi (2 km) away. Alewife Station is 16 minutes by foot and Davis Station is 24 minutes. 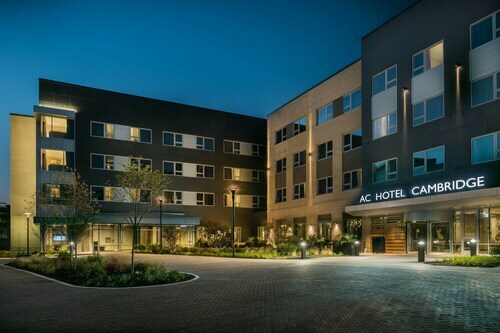 Situated in the suburbs, this hotel is 0.7 mi (1.1 km) from Davis Square and within 3 mi (5 km) of Harvard University and Harvard Square. Tufts University is 1.3 mi (2 km) away. Alewife Station is 14 minutes by foot and Davis Station is 18 minutes. Situated in Arlington, this vacation home is 1 mi (1.6 km) from Davis Square and within 3 mi (5 km) of Harvard University and Harvard Square. Tufts University is 1.6 mi (2.6 km) away. Alewife Station is 9 minutes by foot and Davis Station is 26 minutes. Situated in Cambridge, this hotel is within 3 mi (5 km) of Davis Square, Harvard University, and Harvard Square. Tufts University is 2.1 mi (3.4 km) away. Alewife Station is 8 minutes by foot. 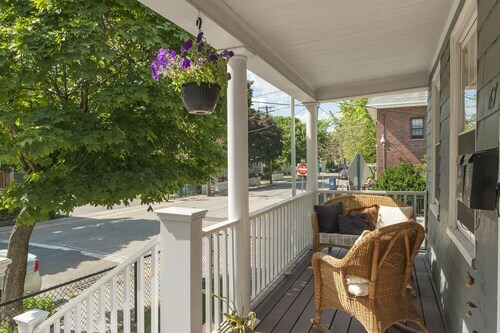 Situated in Cambridge, this vacation home is close to Somerville Theatre, Harvard University, and Harvard Square. Also nearby are Tufts University and Davis Square.